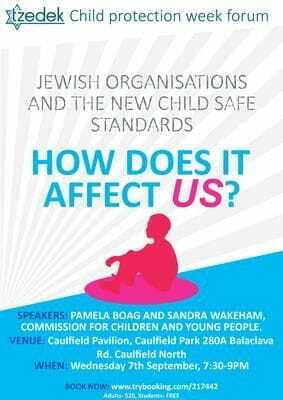 This Forum is targeted at Jewish organisations who will need to comply with the Child Safe Standards as of the 1 January 2017. 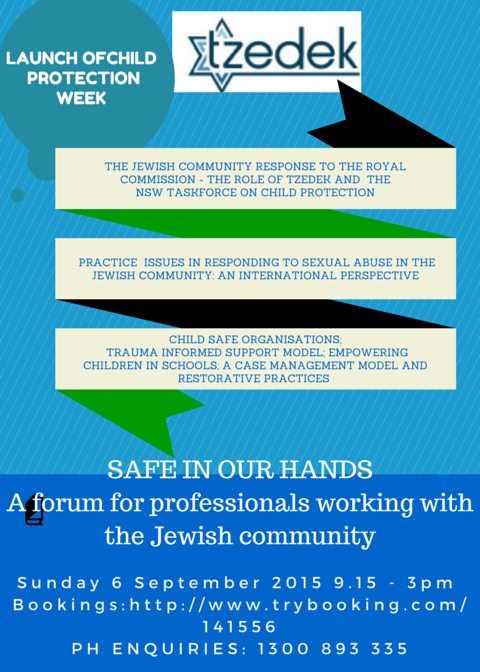 Join Tzedek for an education session for parents and community members on preventing child sexual abuse. 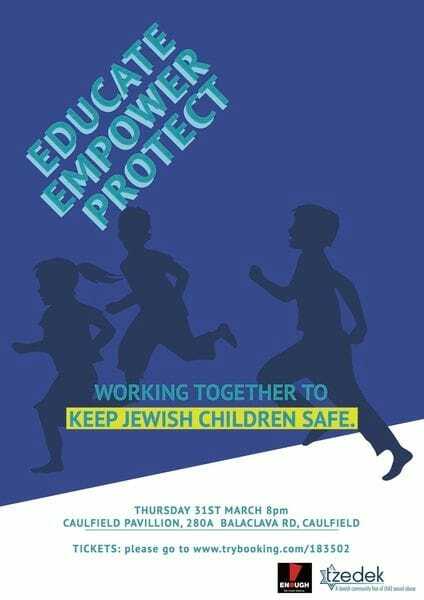 Tzedek is launching Child Protection Week with a community education forum to promote the safety of children in the Jewish Community. 2 Nagle Ave, Elsternwick, Melbourne. Parking is available through the Brentani Ave entrance. Please email us if you require a certificate for Professional Development purposes. 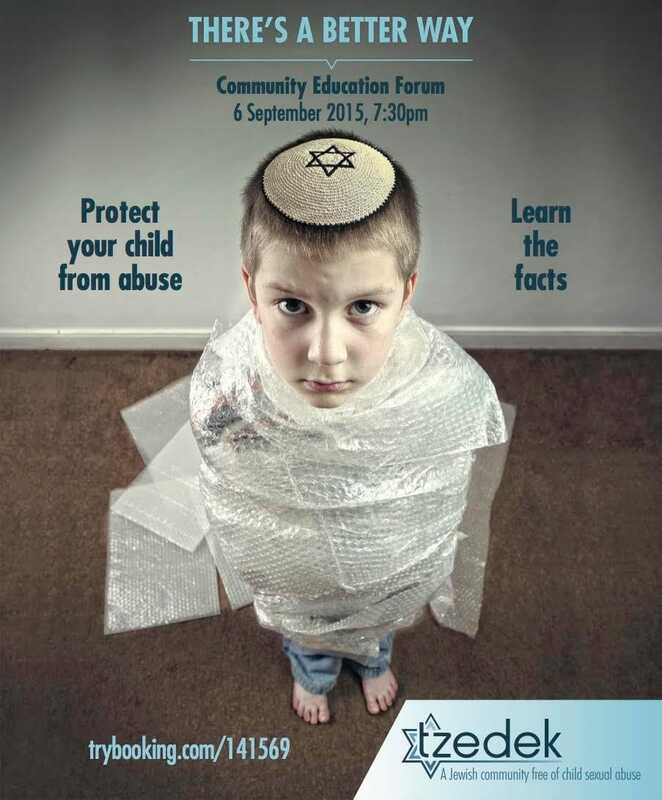 Kosher catering will be provided. Additional dietary requirements can be specified in bookings.